Standard Charter Singapore Marathon 2011 043, originally uploaded by m8parco. Live your dreams, take those items off your bucket list. Item 88. Run a marathon with your spouse. Another one off my list. shoesale, originally uploaded by m8parco. Running shoes for $29-$59!!!! That’s a real bargain even if the Singapore Dollar is still strong. 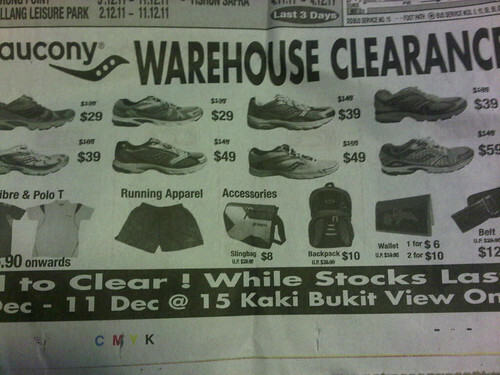 It was the the day before the Singapore Marathon and we had to make a detour to stock up on our running shoes. Ragunan Zoo, originally uploaded by m8parco. There a few good place to run in Jakarta. The best is at the zoo. Entrance fee is very affordable and there is a 5 km loop with little traffic if you start early. 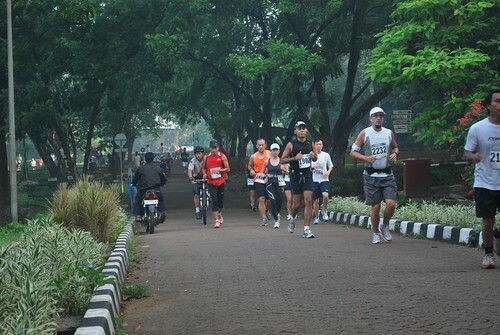 It is a popular place to train and the Jakarta Free Spirit running club has a weekly Saturday morning run for their members at the zoo. Later in the day the foot traffic can be unbearable as most of the general public start streaming in. Once a year Jakarta Free Spirit organizes a 21k run in the zoo and many of the Jakarta based runners look forward to it. I believe it is the only half marathon in Jakarta. It is sponsored by Standard Charter bank and the winners gets free entry to the Singapore Marathon.